You know this thing about Slugterra Games? If you were searching the internet for online Slugterra Games, look no further, because the best Slugterra Games can be found right here, on www.cute-games.com, where we invite you to start playing them right now, and have the time of your life together with Eli Shane and his gang! In Slugterra Games you can find 11 games that we've published for these kids and childrens that are interested to play Slugterra Games, this game gategory have been created on 19.04.2016. These games with Slugterra Games have been voted 1 times and the avarage of vote is 5.00 stars. We advice you to play the last flash game from Slugterra Games, Slugterra Coloring that have been published on 24.09.2016 09:20. 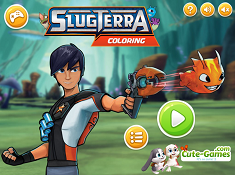 Slugterra Coloring its a part of Slugterra Games category and until now its played 6565 times. Try it now on Cute-Games.com! If your like the Slugterra Coloring game you can write a comment in the game page. Recommend this game to your friends if you like it! 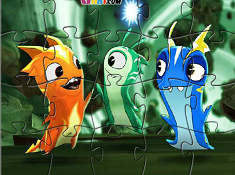 Slugterra Jigsaw its a part of Slugterra Games category and until now its played 2066 times. Try it now on Cute-Games.com! If your like the Slugterra Jigsaw game you can write a comment in the game page. Recommend this game to your friends if you like it! 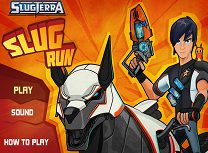 Slugterra Slug Run its a part of Slugterra Games category and until now its played 3472 times. Try it now on Cute-Games.com! If your like the Slugterra Slug Run game you can write a comment in the game page. Recommend this game to your friends if you like it! Slugterra Full Speed its a part of Slugterra Games category and until now its played 5508 times. Try it now on Cute-Games.com! If your like the Slugterra Full Speed game you can write a comment in the game page. Recommend this game to your friends if you like it! Slugterra Battle its a part of Slugterra Games category and until now its played 6220 times. Try it now on Cute-Games.com! If your like the Slugterra Battle game you can write a comment in the game page. Recommend this game to your friends if you like it! 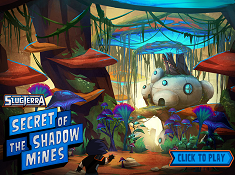 Secret of Shadow Mines its a part of Slugterra Games category and until now its played 3965 times. Try it now on Cute-Games.com! If your like the Secret of Shadow Mines game you can write a comment in the game page. Recommend this game to your friends if you like it! 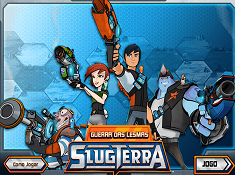 Slugterra Arsenal its a part of Slugterra Games category and until now its played 5615 times. Try it now on Cute-Games.com! 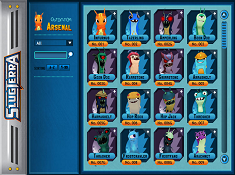 If your like the Slugterra Arsenal game you can write a comment in the game page. Recommend this game to your friends if you like it! Slugterra Hidden Numbers its a part of Slugterra Games category and until now its played 2406 times. Try it now on Cute-Games.com! 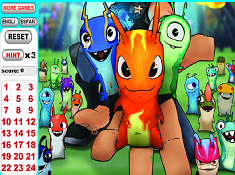 If your like the Slugterra Hidden Numbers game you can write a comment in the game page. Recommend this game to your friends if you like it! 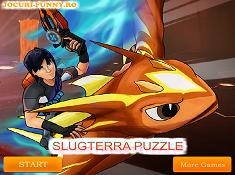 Slugterra Puzzle its a part of Slugterra Games category and until now its played 2724 times. Try it now on Cute-Games.com! If your like the Slugterra Puzzle game you can write a comment in the game page. Recommend this game to your friends if you like it! Slugterra Slug War its a part of Slugterra Games category and until now its played 5829 times. Try it now on Cute-Games.com! 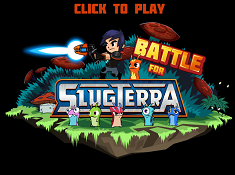 If your like the Slugterra Slug War game you can write a comment in the game page. Recommend this game to your friends if you like it! Slugterra Candy Shooter its a part of Slugterra Games category and until now its played 1844 times. Try it now on Cute-Games.com! 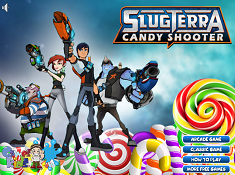 If your like the Slugterra Candy Shooter game you can write a comment in the game page. Recommend this game to your friends if you like it! Find More About Slugterra Games! Slugterra Games is one of the latest games categories which we have created for www.cute-games.com, the website where you can find the best free online games on the internet! 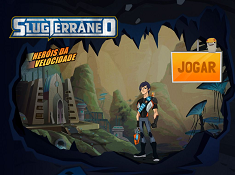 This Slugterra Games category has been created because the television show that it is based on is a very popular one, and there are also a great deal of fun and great Slugterra Games available, which we are sure that you are going to enjoy playing, here on our website! Look no further, because only on www.cute-games.com can you find the best selection of Slugterra Games on the internet, which you can see by looking on this page, or reading this description, where we are going to expose you to the universe of Slugterra, the characters of the show, the kind of free games that you are going to play from this category, and all sorts of other information and trivia which we are sure that you are going to find very useful, and helpful while playing these Slugterra Games. The show has started airing in 2015, mainly on Disney XD, and since then, it has become very popular. It had three seasons, 48 episodes, and four movies which aired in continuity with the television show, so you can see that the story was a very fun and exciting one. The main character of the show is called Eli Shane, and he is the one that you will find the most in the Slugterra Games which you will play, and he will be your avatar in them for most of the games. Eli Shane lives on Slugterra, which is a planet that differs from ours a lot, and it is filled with extraordinary places, interesting humans, but the defining trait of the planet are the creatures known as slugs, which are little creatures in all kinds of shapes and sizes, which have extraordinary abilities. The slugs can be collected by people, they can be trained to grow stronger, because they are then used in duels, in which slugs fight other slugs controlled by different trainers. Eli Shane wants to become the greatest and best slug trainer in the world. That is because he is an ambitious boy, but also because the one that currently holds this title is none other than his father, who Eli wants to surpass at all costs. Eli came to Slugterra with only one slug, but a famous one, named Burpy. Like all heroes in all stories, Eli also has to befriend characters, with which to form a team to go along on his adventures, and for Eli, those people are Pronto, who is of the Molenoid race, and a girl named Trixie, which he first meets when she saves him from a foe. He also meets a cave troll named Kord, who is a valuable member of the team. The story takes Eli into a competition where he receives more slugs, which he trains. There he has to battle other slug-slingers, and his main purpose is to defeat Dr. Thaddius Blakk, who is the main antagonist of Slugterra, who wields ghost slugs, which are special and evil slugs that are very dangerous. Trixie is the one member of the team who knows the most about slugs, which is information that helps the team get out of trouble or win battles many times through the series. Pronto is the tracker of the team, who says that he is the best at finding his way, even tough he is not that good at it, which is why he was kicked out of all the teams he was in before Shane's one. Kord Zane is the easy-going member of the team, who is also the mechanic, who does his best to upgrade the team with the newest technologies so that they can win their battles with ease. Well, now that you are familiar with the premise of the show, some of it's main characters, and the creatures known as slugs, the next thing that we are going to tell you about will be the kind of Slugterra Games that you will be able to play here on our website. You will play Slugterra Games in which you will have to run on different obstacle courses, do slug battles, go on incredible adventures, or even learn more about the slugs. But, you also have other types of games like hidden numbers games, or puzzle games. What you have to know is that whatever kind of Slugterra Games show up on the internet, you can rest assured that the admin team of www.cute-games.com will be the first one to offer you these games, which you will be able to play for free! Well, now you know everything there is to know: you know the story of Eli Shane and his adventures in Slugterra, you know his friends, and you know what kind of awesome games you can play on this page. All that is left to do is to start playing Slugterra Games right now, and having fun!